It's finally official- The Prince of Bengal is back. The intense speculation over the last couple of days has finally been put to rest. Ganguly will join the Indian team in South Africa for the test series scheduled to begin on December 15. Ganguly I'm sure must feel extremely vindicated with this decision. After being uncermoniously dropped from the Indian Squad at the beginning of the year, about 9 months ago, the selectors had made it quite clear his days of playing for the national side were over. His recall just goes to show how bad the situation is. Indian cricket is completely down in the dumps right now. The selectors were so desparate they just had to get him back. With Dravid being ruled out of the first test because of a finger injury, the selectors and the Indian public are hoping Ganguly's inclusion along with V V S Laxman, will provide some stability to the Indian batting order. Laxman has by the way been made vice-captain for the test series. Will Ganguly's return be the much needed motivating factor to get Team India back on track???? A billion Indian hopes are riding on the Prince of Bengal. Major Teams: Bengal, India, Lancashire. and pounces on the ball, like a tiger on a hapless prey, is something to be enjoyed on the spot. His batting is the perfect blend of elegance and power. He has all the traditional style that goes with left handed batsmanship. With superb timing he almost caresses the ball to the boundary. But when the mood gets to him - particularly in the one day game - his batting can be a murderous assault on the bowlers and a delight to the spectators. The manner in which he steps out and pounces on the ball, like a tiger on a hapless prey, is something to be enjoyed on the spot. 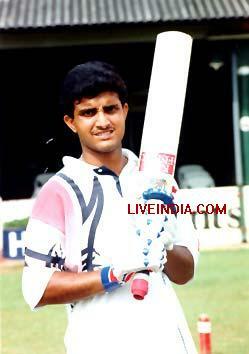 But then Sourav Ganguly is not just strokes and class and powerful batting. He has a sound temperament and the ability to rise to the big occasion. Only a person who is mentally strong could have responded in the manner he did to widespread criticism to his selection for the tour of England in 1996. When he first went as a teenager to Australia in 1991-92 he was far from ready for the big time, despite his manifold gifts. By the time of his comeback, a mixture of talent and hard work had made Ganguly capable of the dream feat with which he launched his Test career. Since then, it has been impossible to envisage an Indian team in both forms of the game without him. On the strength of his figures and undoubted class, he has taken his place as among the `Big Three' of the Indian batting order. Few would deny him his place as probably the greatest Indian left hander of all time. And in the last year, he has also proved himself to be a tough, no nonsense captain. A record of four wins and only one defeat in his first six Test matches as captain - including a memorable series triumph over the formidable Aussies - augurs well for him as a leader. Sourav Ganguly was a very happy man after India's majestic six-wicket win over arch-rivals Pakistan in what many had described as the mother of all battles. "It was a huge game back home, schools were closed offices were closed and we're so happy we could make everybody smile back in India," a smiling Indian skipper said after the contest, which saw the two sub-continental rivals lock horns in the international arena for the first time in three years. 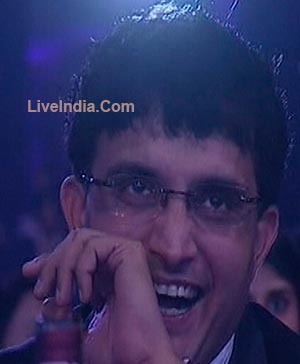 Ganguly also praised Sachin Tendulkar, whose 75-ball 98 at the top of the order paved the way for the Indian win. "He's been in great form and it's not the first time (that he has played a match-winning innings), he's a champion in one word and the knock he played is one of the best I've seen him play," Ganguly observed. With India now carrying eight points into the Super Six stage (four for beating one of the qualifiers and four more for their other wins), Ganguly went on to add justifiably that his team now had a bright chance of making the semi-finals. Tendulkar, who was deservedly named the Man of the Match, meanwhile, rated his match-winning knock as one of his best innings, despite missing his 35th ODI ton after being dismissed by a snorter from Shoaib Akhtar. "It's obviously one of the most important innings I've played and when it's a World Cup match against Pakistan that makes it a special innings and I'll put it right up there," the little master observed. "I was picking the line and length quite early today and felt very comfortable there in the middle from the moment of playing the back foot cover drive off Wasim," he added. Talking about his problems towards the latter half of his innings, Tendulkar said, "I started getting cramps and it went from bad to worse, there was a stage in the game when I even couldn't stand properly." Losing skipper Waqar Younis, for his part, blamed the Pakistan bowlers. "Looking at the total of 270 it seemed a good one, but unfortunately we didn't bowl that well, we bowled both sides of the wicket." He, though, gave credit to Tendulkar too. "A brilliant innings, I think getting 110 in the first 11 overs took the game away from us," Waqar accepted, adding, "India played much better than us today. When we took Sachin's wicket we thought we came back into the game, Dravid came in and played like he normally plays and it was an excellent role,that was required." the same house. There are 22 bedrooms in his house, and the family possesses over 20 cars. cricket academy as he was finding difficult to pass his time. confidence, with some help from an English rugby team sports psychologist. second Test at Lord's where he blasted a superb century. shadow of Sachin Tendulkar. Sourav is a deeply religious person and observes a fast every Tuesday. are separated by their parents and so they run off to get married. And like the movie ends their families too reconciled but only in the end i.e. after the marraige. him join a cricket coaching club. 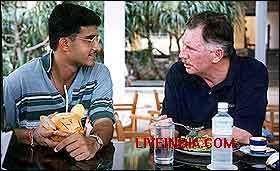 His father Mr. Chandi Ganguly had also played for the state. is nothing more relaxing than watching Dona (his wife who is a classical dancer)perform a dance routine. Ganguly was appointed the Captain of the Indian cricket team in February, 2000. Ganguly was the Man of the Series in the New Zealand-India 5 match ODI series in November 1999. Indian, beating Kapil Dev's Record of 175*. Ganguly was the Man of the Series in the Pepsi Cup 1999 (March-April) for scoring 278 runs and taking 6 wickets in total. Saurav Ganguly along with Tendulkar forms the 4th Best Opening Pair in the History of One-day cricket. Saurav Ganguly and Tendulkar were involved in a World Record Opening Partnership of 252. 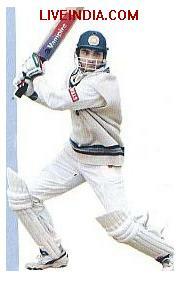 Saurav Ganguly scored a Century on Debut at Lords in 1996, and went on to score a century in the very next match as well. 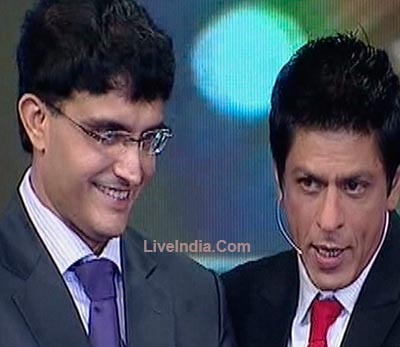 Saurav Ganguly was named Sport star Person of the Year 1998. 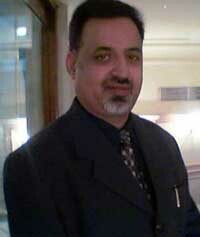 He also won the Arjuna Award in 1998. Saurav Ganguly was the Highest Run-Scorer for India in ODIs in 1997.